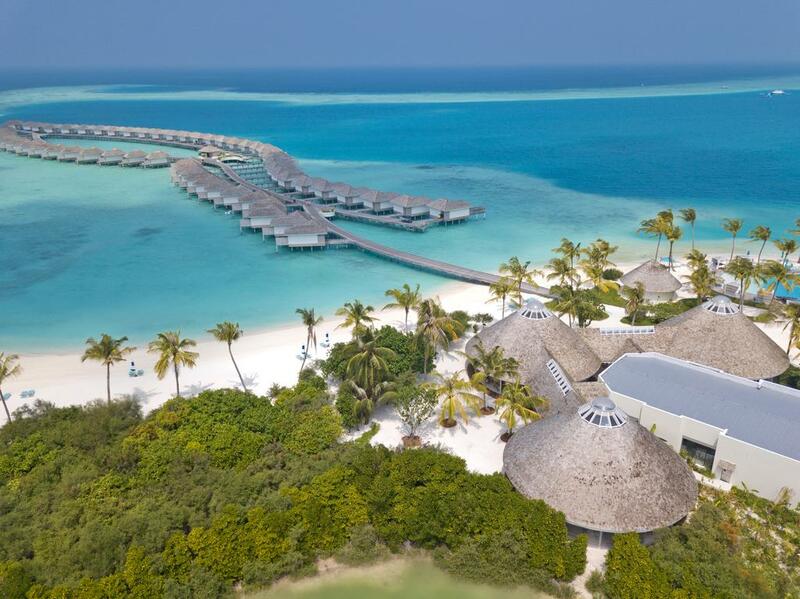 Located in the remote Dhaalu Atoll, Kandima Maldives is a stylish and sophisticated resort boasting a breathtaking island setting with luxurious beach and ocean lodgings, acclaimed restaurants, and chic beach bars, and a wealth of on-site activities and adventures to enjoy. 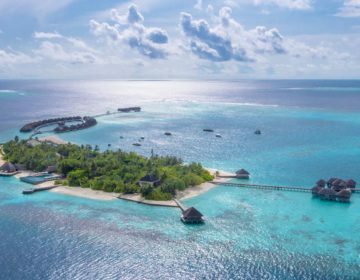 Ideal for couple and families alike, the resort is reached by a 30-minute flight from Malé, followed by a 20-minute speed boat ride to the island or 40 minutes by seaplane and features stylishly comfortable studios and villas with private terraces, Jacuzzis or swimming pools. 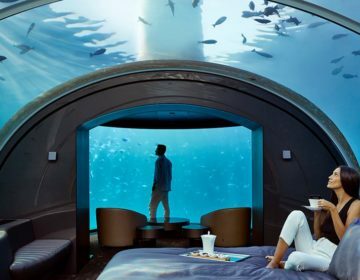 Enjoy direct access to the pristine white sandy beach and gin-clear, turquoise waters of the Indian Ocean, dine at one of ten highly acclaimed restaurants and chic beach bars, or snorkel among the brightly colored corals and vivid reef fish of the incredible underwater world surrounding the island. 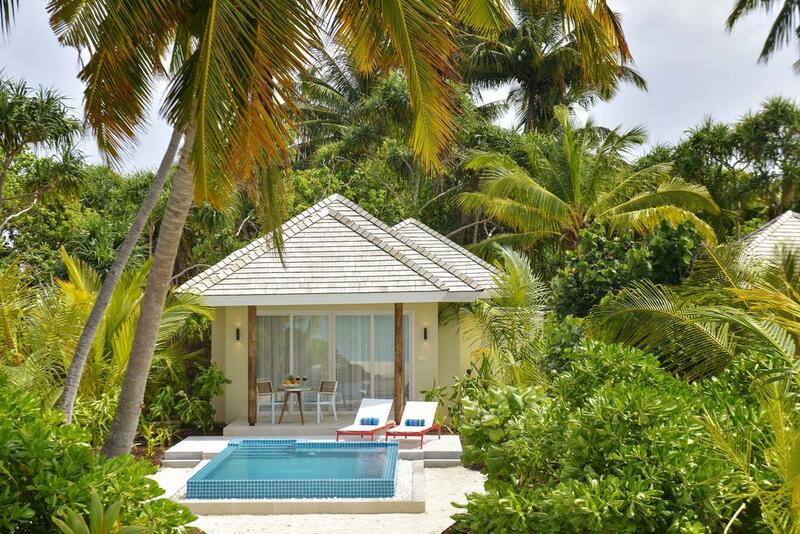 Accommodation at Kandima Maldives consists of beautifully-appointed contemporary studios, villas with thatched roofs overlooking white sandy beaches and the shimmering azure waters of the lagoon. Studios are cozy and neat with designer interiors, stylish décor, and deluxe amenities, while villas are spacious and airy with striking interiors of white and natural hues enhanced by splashes of color, and gorgeous outdoor decks with private swimming pools and spectacular views. Situated right on the beach with beautiful views, these compact studios offers 55 square meters of space and features king bedrooms with en-suite bathrooms with soaking tubs, walk-in showers, and designer toiletries, along with modern amenities such as air-conditioning, ceiling fans, flat-screen satellite televisions, minibars, coffee machines, and complimentary wireless Internet. Private balconies and terraces have balcony swings and stunning vistas. Beach Villa Jacuzzis are 92 square meters in size and boast king bedrooms with en-suite bathrooms with soaking tubs, walk-in showers, and designer toiletries, along with modern amenities such as air-conditioning, ceiling fans, flat-screen satellite televisions, minibars, coffee machines, and complimentary wireless Internet. 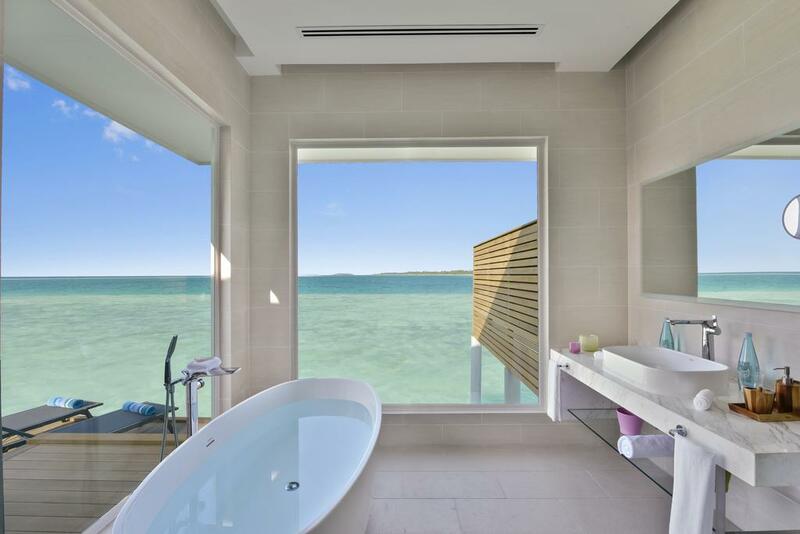 Semi-outdoor bathrooms have bathtubs, rainfall showers, and day-beds, and private balconies and terraces have balcony swings and panoramic views. Beach Villa Jacuzzis are 105 square meters in size and boast king bedrooms with en-suite bathrooms with soaking tubs, walk-in showers, and designer toiletries, along with modern amenities such as air-conditioning, ceiling fans, flat-screen satellite televisions, minibars, coffee machines, and complimentary wireless Internet. 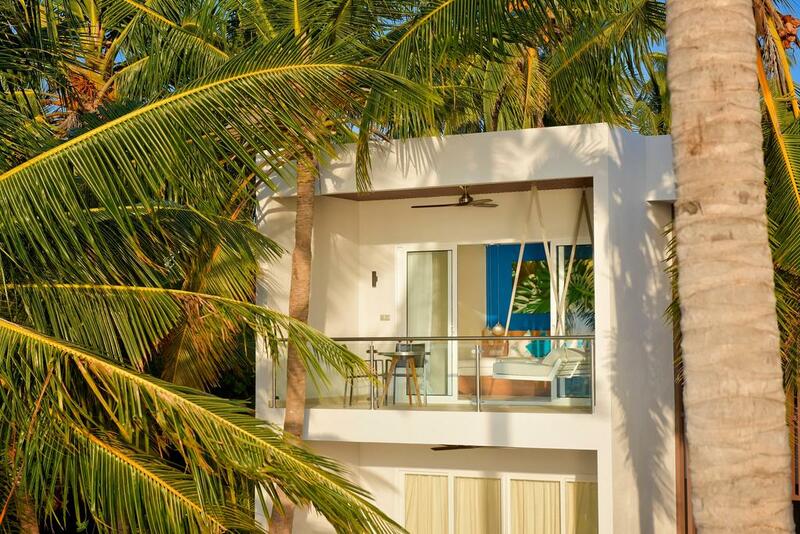 Semi-outdoor bathrooms have bathtubs, rainfall showers, and day-beds, and private balconies and terraces have balcony swings, private swimming pools, and exquisite views. Magical Aqua Villas are 73 square meters in size and boast king bedrooms with en-suite bathrooms with walk-in showers, free-standing tubs with sea views and designer toiletries, along with modern amenities such as air-conditioning, ceiling fans, flat-screen satellite televisions, minibars, coffee machines, and complimentary wireless Internet. Private decks have lagoon access and spectacular ocean views. Aqua Villas Jacuzzis are 73 square meters in size and boast king bedrooms with en-suite bathrooms with walk-in showers, free-standing tubs with sea views and designer toiletries, along with modern amenities such as air-conditioning, ceiling fans, flat-screen satellite televisions, minibars, coffee machines, and complimentary wireless Internet. 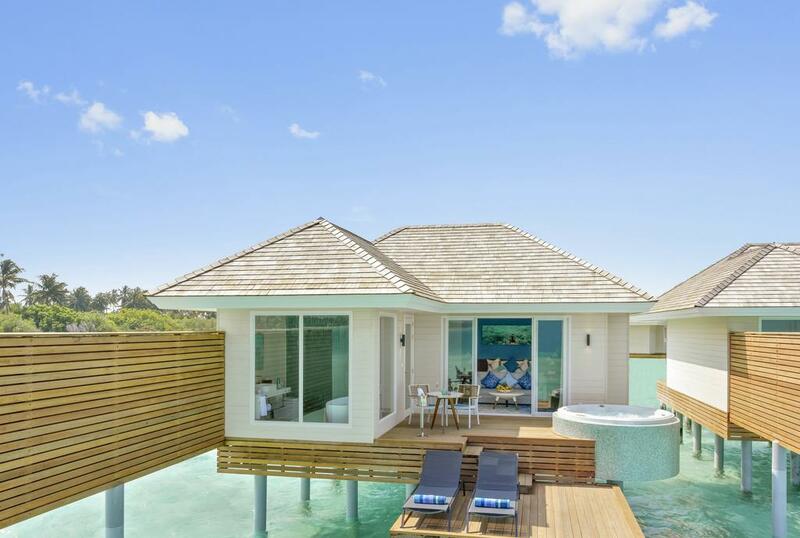 Private decks feature Jacuzzis, direct lagoon access and spectacular ocean views. Offering absolute luxury and style, Ocean Pool Villas are 73 square meters in size and boast king bedrooms with en-suite bathrooms with walk-in showers, free-standing tubs with sea views and designer toiletries, along with modern amenities such as air-conditioning, ceiling fans, flat-screen satellite televisions, minibars, coffee machines, and complimentary wireless Internet. 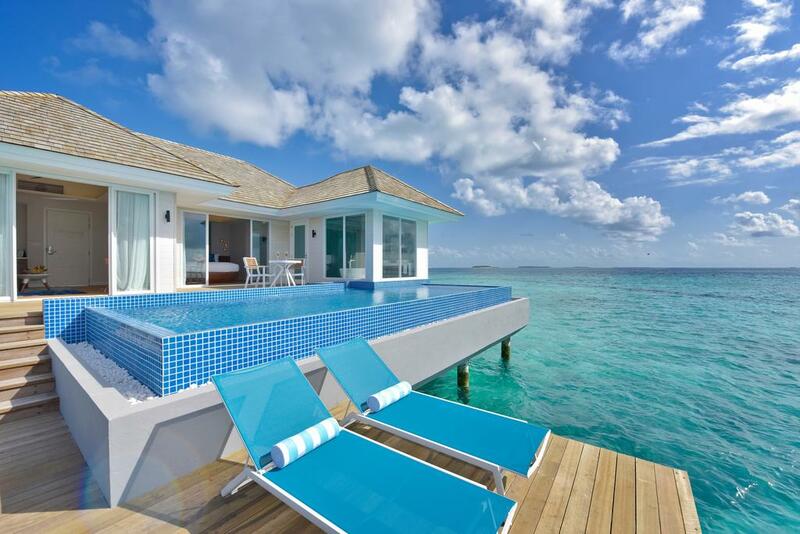 Private decks feature large swimming pools, direct lagoon access, and spectacular ocean views. 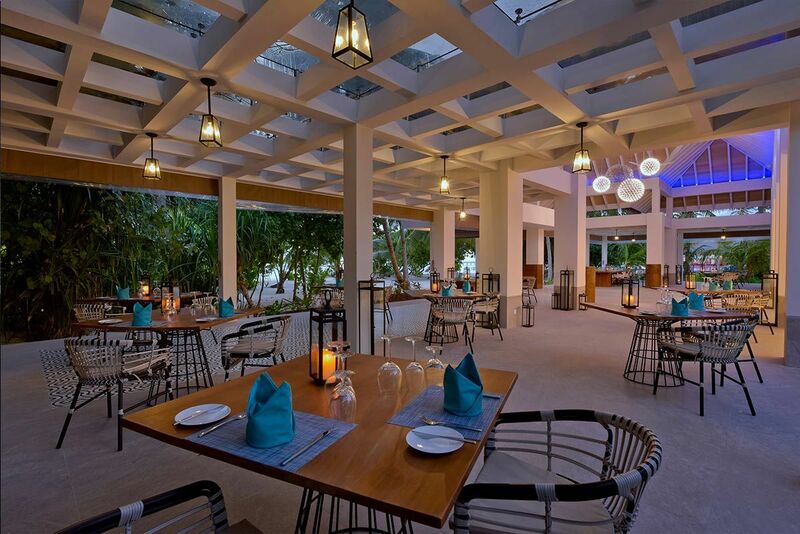 Kandima Maldives boasts several world-class restaurants, cafés, beach bars, and lounges and unforgettable dining experiences. 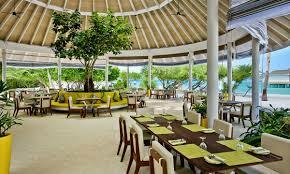 No less than ten restaurants serve globally-inspired cuisine in spectacular settings ranging from a variety of fresh locally-caught fish and other types of seafood to contemporary Maldivian cuisine with an array of international flavors, such as Indian, Sri Lankan, Malaysian, and European. 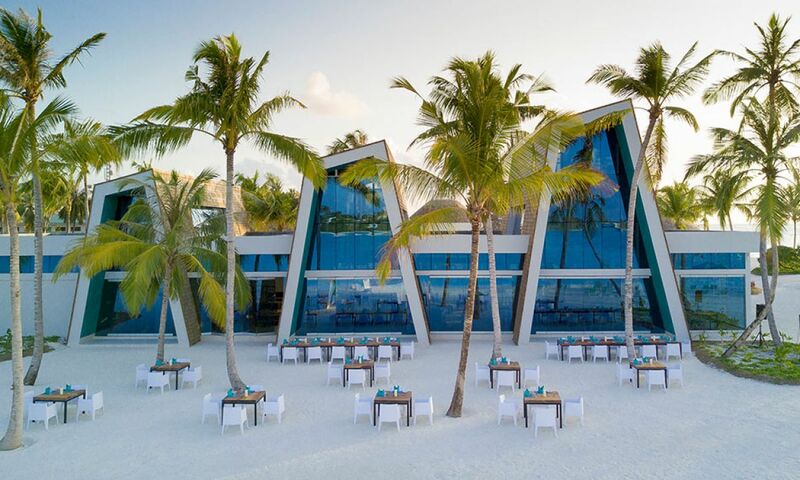 From extravagant oceanside bars and restaurants to unique chef-prepared gourmet dining experiences on private islands in the middle of the ocean, Kandima Maldives doesn’t fail to deliver when it comes to exceptional dining experiences. Smoked is all about perfect steaks, freshly caught fish and incredible sunset views. A BBQ kitchen and Teppanyaki grill serve delicious meat, fish and vegetarian dishes such as perfectly seasoned baby back pork ribs to gigantic tomahawk steaks and fresh salads and sides. 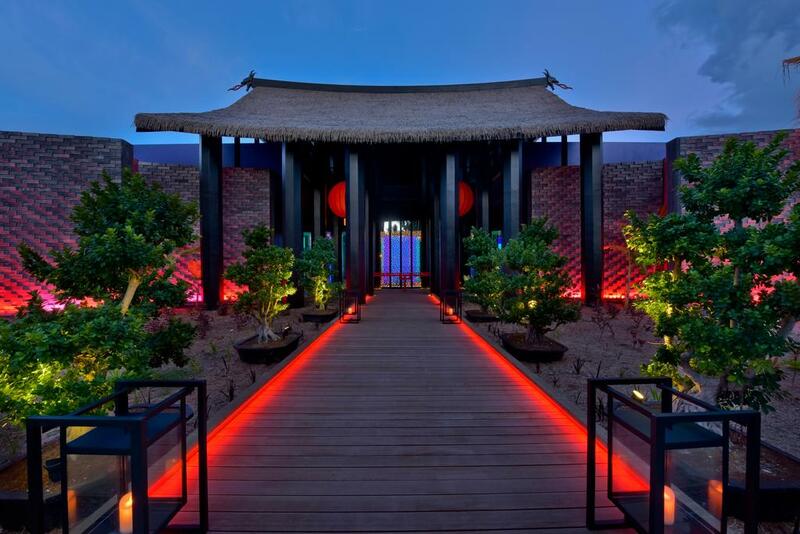 Inspired by ancient architectural designs of the Far East, Sea Dragon & Forbidden Bar offers authentic Asian cuisine with a contemporary twist ranging from freshly caught fish from the waters of Dhaalu Atoll to juicy lobsters and crabs. The Forbidden Bar is an adults-only bar that serves signature cocktails in an elegant setting with a DJ. Boasting stylish cabanas perched above the turquoise pool, the Beach Club is an ideal hangout spot for both families and couples alike where fruit cocktails and other drinks are served along with light fare, and resident DJs who spin the tunes both day and night. Located on the beach with stylish indoor and outdoor seating, this chic beach house offers casual dining by day and elegant signature is dining on the beach by night with a Mediterranean menu of fresh fish, Spanish tapas, wood-fired steaks, oven-baked pizzas and a selection of fine wines from around the world. 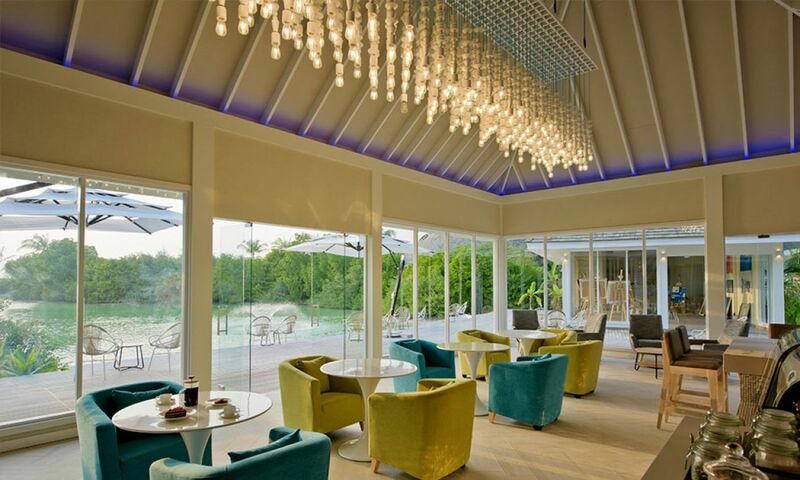 Boasting an exquisite tropical garden, this restaurant is ideal for hosting outdoor gala dinner events and functions. Taste the freshest flavors from around the world in this stylish, bright, contemporary modern food hall restaurant with multiple live cooking stations and self-service areas helmed by highly acclaimed chefs. 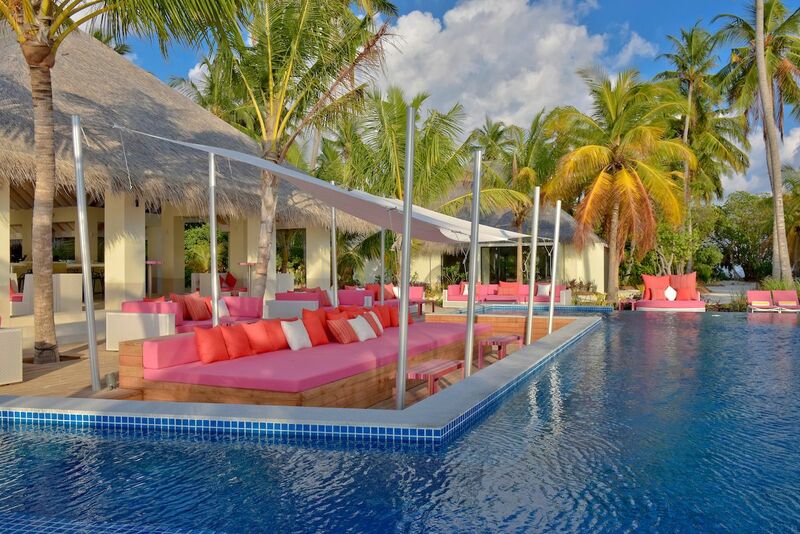 The Breeze Pool Bar is perfect for relaxing with cocktails or kicking back with flavored shishas to the sounds of a resident DJ and soaking up the spectacular views. Perched over a tranquil natural lake, Aroma Café serves a wide range of specialty coffees from the fertile highlands of Southern Ethiopia to home-grown beans from Batin Baru in Indonesia. The Aroma Café also hosts Kandima’s very own Art Studio where guests can unleash their creativity and join resident artists for painting or crafts classes. 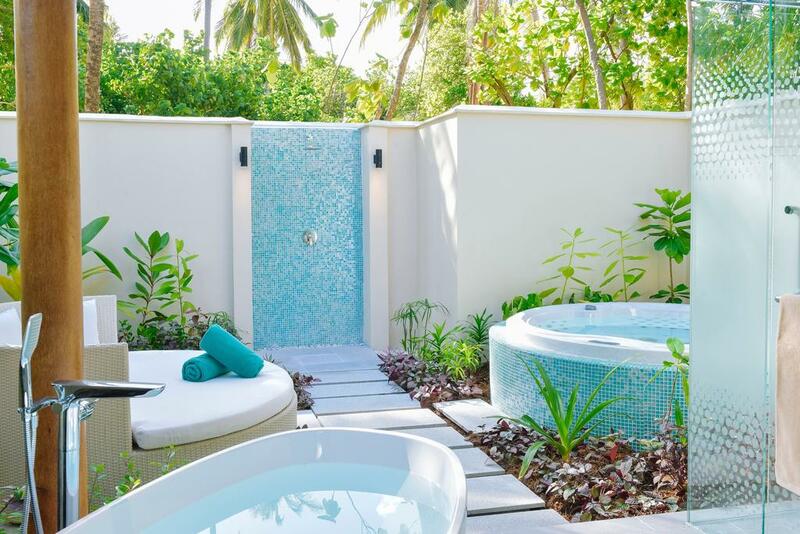 Nestled in the lush tropical vegetation of the island, Kandima Maldives’ award-winning esKape Spa features several beautifully appointed treatment rooms for singles and couples, a steam room and a plunge pool and offers a variety of treatments from healing and holistic therapies to body scrubs and facials. 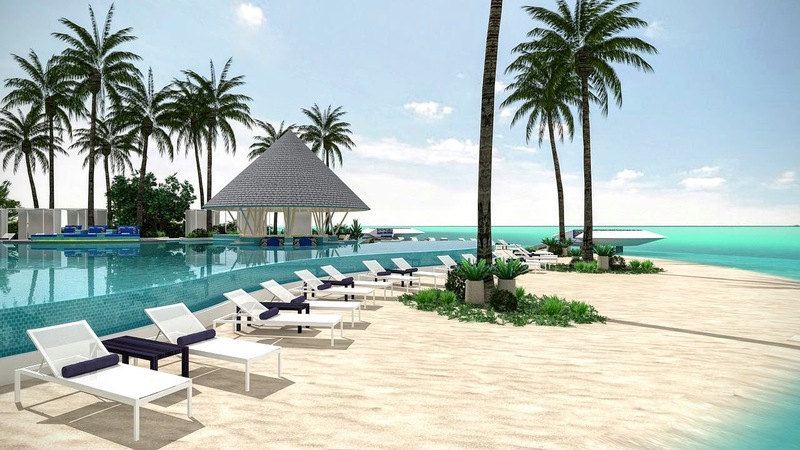 Kandima Maldives boasts a wealth of recreational activities and sports to enjoy from scuba-diving, snorkeling, and swimming with manta rays to Dhoni excursions, kayaking, and big game fishing. Other outdoor recreational activities include adrenalin-pumping activities such as jet-blading and hoverboarding, jet skiing, wakeboarding, wakeskating, kneeboarding, and jet-packing. Enjoy day and night fishing charters, dolphin watching excursions, catamaran sailing, beach volleyball, and windsurfing. 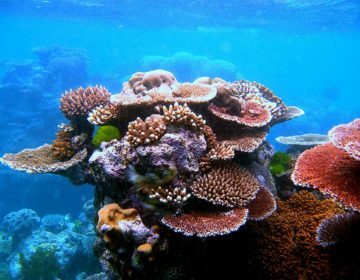 Guests can also take a sunset cruise on a traditional dhoni, or head out in search of dolphins, turtles, manta rays and other amazing marine life in a guided wildlife watching trip. A state-of-the-art fitness center has a private swimming pool, Kross Fit, TRX Suspension Training, POUND® fit, boxing and offers both traditional yoga and aerial yoga classes; and other sporting facilities include tennis and badminton courts, and a new football pitch. The KULA art initiative provides art classes and lessons under the supervision of local artists, and a professional team of photographers provides personalized photography and videography services. Kandima Maldives has an exclusive children’s club called Kandima Kids Club, which offers children an opportunity to explore the many delights and wonders of island living under supervised care. Run by a dedicated, multilingual team of fully certified child carers, the club offers a daily program jam-packed with fun and informative activities, ranging from high-energy sports and outdoor activities such as snorkeling and tennis lesson, art classes, and treasure hunts. Book this incredible, once-in-a-lifetime experience here.